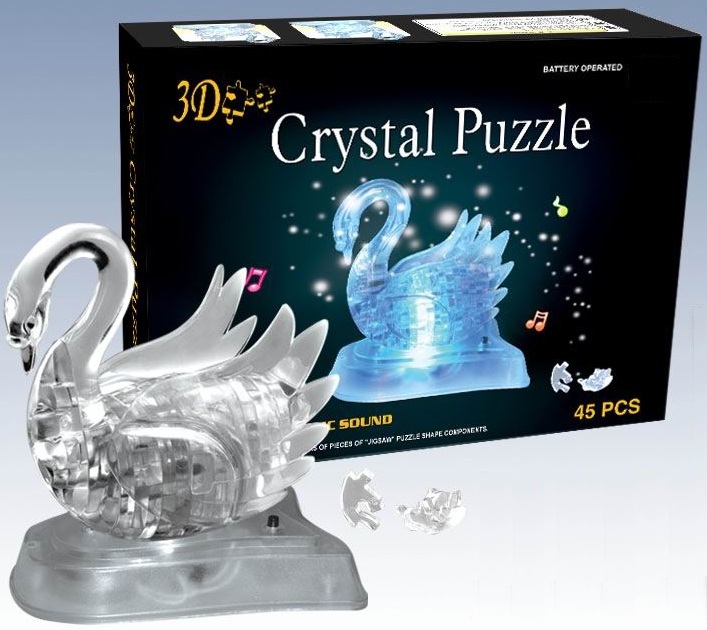 Tease your brain and delight your eyes with these beautiful flashing and music Swan Crystal shape innovative 3-D puzzles. Comes with motion-activated LED that flashes and make sound. Our flashing Swan puzzle contains 45 pieces and are available in Silver Gray and Clear colors.